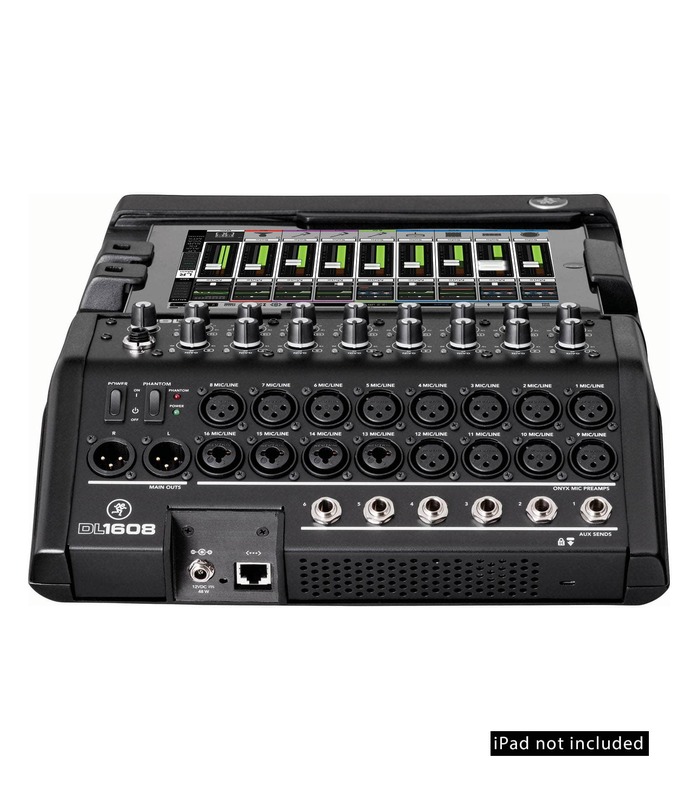 Mackie DL1608 16-Channel Digital Live Sound Mixer with iPad Control. 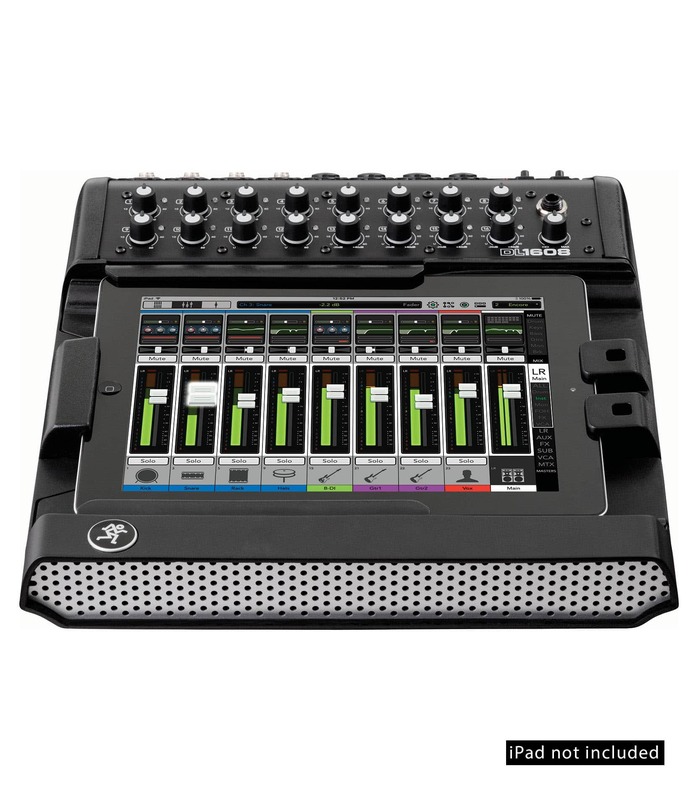 The Mackie DL1608 redefines live mixing by combining the proven power of a full-featured digital mixer with the unmatched ease and mobility of an iPad. With 16 boutique-quality Onyx mic preamps and the performance of 24bit Cirrus Logic AD/DA converters, you have unparalleled sound quality. Seamless wired to wireless iPad control means you can mix from anywhere in the venue. This gives you the mobile freedom to control not only the mix, but also powerful plug-ins like EQ, dynamics, effects and more. The sleek DL1608 even supports up to 10 iPads. Forget bulky consoles and racks of gear. The power is at your fingertips. Dl1608 from Mackie is 100% original and brand new. We, at Melody House take pride in our after sales service and support. For further details on the dl1608, Mackie, simply write to us to consult an expert or order online and we will take care of the rest. Happy Shopping!